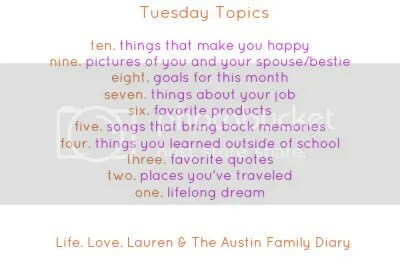 Which means that this week I’m listing ten things that make me happy. Simple things, really, but here we go! Reese’s Peanut Butter Cup Minis. Must be minis, must be refrigerated, and must be eaten in groups of four. Reading a great book while hammock sitting. Actually being able to grow tomatoes and not have the squirrels eat them all. A great sermon at church. The fact that B’s youngest, J, is old enough now to not just recognize me as someone he knows but as someone he can get excited to see. And he comes running whenever I’m walking into a room. His older brother is sometimes too old to get excited about Aunt Kelly, so I cherish these days! My husband has to have his reeses refrigerated too! it is a sad time when your nieces/nephews don’t run up to you with a big ol’ smile on their fave whenever you go see them. Number nine is totally true! A good sermon is totally energizing! Definitely makes me happy as well!